Please excuse the rather self-indulgent nature of the following – it’s me thinking aloud as usual so I hope you’re sitting comfortably with a glass to hand. 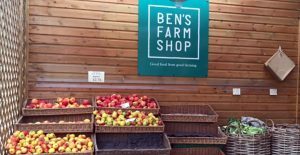 Coming to terms with the fact that we’re now Ben’s, rather than Riverford, Farm Shops has bought on a bit of soul searching. I haven’t written a mission statement for twenty years -since I saw one, identical almost to the word to the one I’d just written, on the wall of the biggest rip off tourist shop at Victoria Falls in Zimbabwe. Suddenly all those formulaic ‘wherever possible’ and ‘exceed expectations’ clichés seemed completely worthless so I just got on with making and selling what I thought was good food. 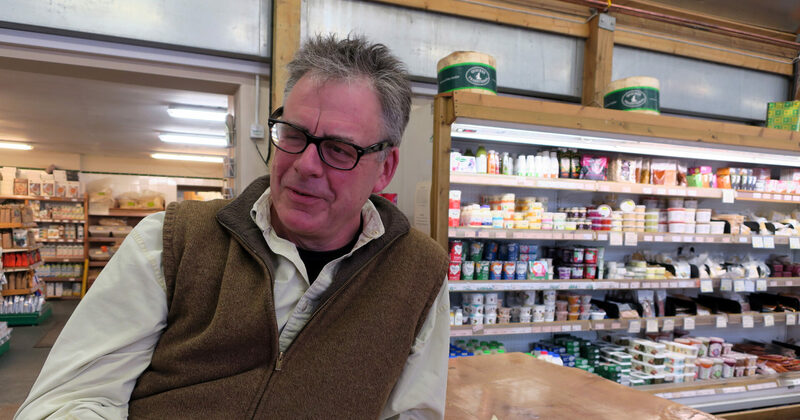 Subconsciously, I let Riverford Organics preach the gospel and got on with doing my thing. I can’t deny that it’s worked to our advantage but it’s never been what we wanted. As well as selling good food, I’ve always believed that most of the solutions are pretty simple and if we can provide the information, the customer will reach the right answer. So our mission is simple; to provide an enjoyable, informative and rewarding food shopping experience. As I’ve said, nothing has changed apart from the name but we’ve opened the Wine & Tapas Shop/ Bar in Totnes and as some of you might have heard, we’re opening up on Magdalen Road in Exeter in a couple of months. So I thought it might be a good idea to let you know the plan. We have no plans to take over the world and definitely won’t be heading much further east. Our kitchen and butchery are at the heart of the business and add considerably to our offer. The kitchen, in particular, is kitted out to make all manner of things but to justify its existence, we do need to make reasonable quantities. We tried reaching those critical thresholds by wholesaling but we’re retailers and contact with the end user/consumer is what makes it worthwhile. As Dan the Almond Thief discovered; it’s easier to make water flow uphill than make money by making and wholesaling food. It’s no fun either. We think that with another shop, the wine shop/tapas bar (or two) that we’ll be the big enough to make the production work – whether it be making bread, salami, soups, stocks or whatever. Our mission is to bring a new definition to ‘small, but perfectly formed’. I have a deep seated mistrust of big, production line, food businesses and firmly believe that the associated compromises in quality far outweigh any benefits. Extra administrative, marketing and brand development, storage, distribution costs and, above all, shareholders avarice create a vacuum for smaller, well run, creative and flexible, ‘outside the box’ food producers and retailers and that’s what we aspire to be. It’s difficult because despite not infrequent calamities of the BSE type, the multiples have created a blueprint model that the ‘powers that be’ judge against. EHOs and the FSA look at the laboratory conditions and risk assessment of big operators without acknowledging that the dangers they’re nullifying are largely of their own making and not always relevant to smaller ‘kitchen’ type businesses. We don’t need higher air pressure in high risk areas to prevent unwanted bugs floating in. The bugs aren’t present in the first place because we don’t buy poultry from intensive hundred thousand bird farms where new strains are incubated faster than the chickens. As usual, I’m being simplistic and going off on one but hope you get the gist. So small is beautiful and can work. But but but….big isn’t always bad. 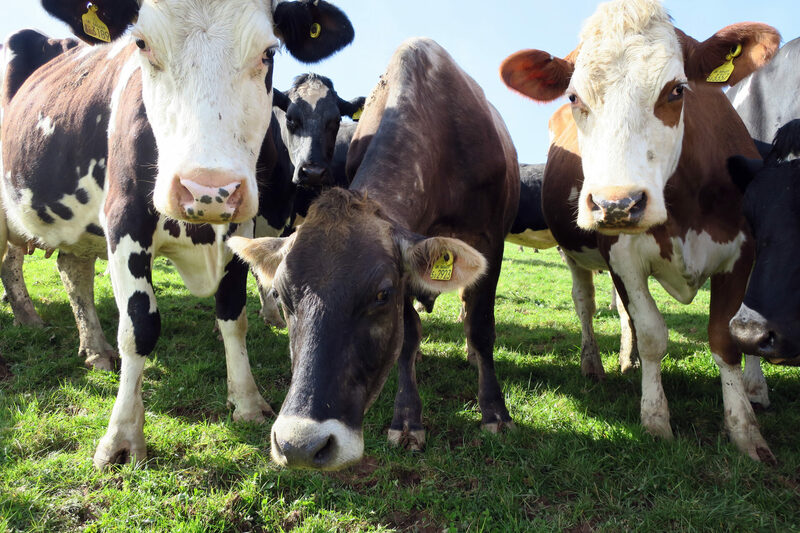 Yeo Valley are pretty big, and seem to have maintained their integrity and make a range of excellent dairy products. The worse thing about them is that their yoghurt is continually on special offer in the supermarket. Is that Yeo Valley’s fault or the supermarket’s? But they are close to the producers of their main fresh ingredient (milk) which isn’t the case with most big food manufacturers. That well known local business Riverford Organics is getting quite sizeable and it’s hard to criticize their credentials but we’re happy in the minor leagues. Everyone has their place and I’m happy where we are. We toyed with further afield but now, if someone said to me – ‘why don’t you open in Bristol’ my response would be ‘why don’t you – we’ll give you a hand’. Which brings me on to local. For a number of reasons; food miles and provenance, keeping money in the local economy etc, we’re big supporters of local food but for us, it’s mainly about using locally grown ingredients. We started off as a farm shop processing pork, from the farm, on the farm. Things have changed but anything that helps keep Britain farming is good for a number of reasons, not least our future food security. Contrast this with the ‘good life’ semi-retired City man who decides it would be nice to start up a gin distillery in the picturesque South Hams. He, or she, is using almost 100% imported (from outside the area) ingredients and making a product few around here can afford to buy. They’ve probably deprived a local or two of a house to live in and a building plot for their distillery and think we should sell their gin because it’s local. That’s an extreme example and I’m not having a dig at any local distiller but sorry chum, however good the gin, that’s not what I call local food (or drink). 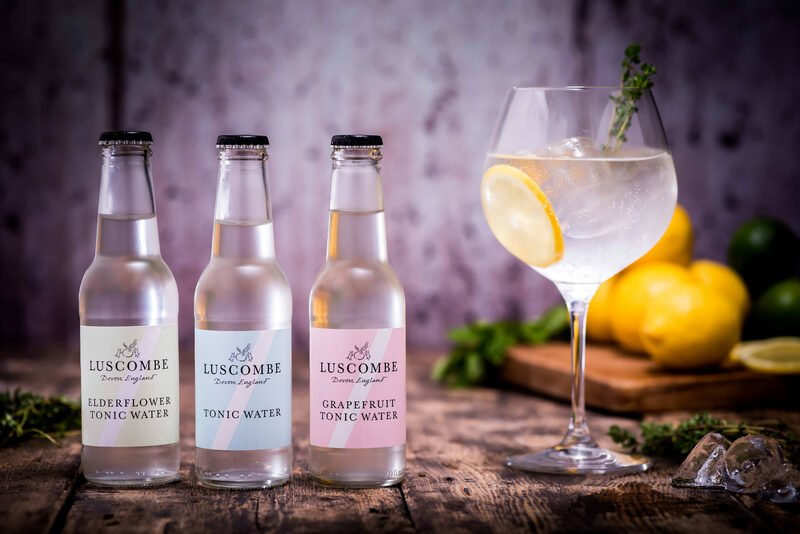 On the subject of gin – Gabriel has come up trumps with his range of Luscombe Tonic Waters. I could do with a bit more fizz but taste wise, it’s spot on – not too overpowering and pleasantly dry.